← Celebrate with Susan Polk: Fri., 4/29 @ 7 p.m.
Sunday, May 8 (Mother’s Day): 6–7 p.m.
Monday, May 9: 7–8 p.m. The fee for each session is $25. To register and reserve your space, please email us (4yoga.me@gmail.com) and indicate which day you will attend. 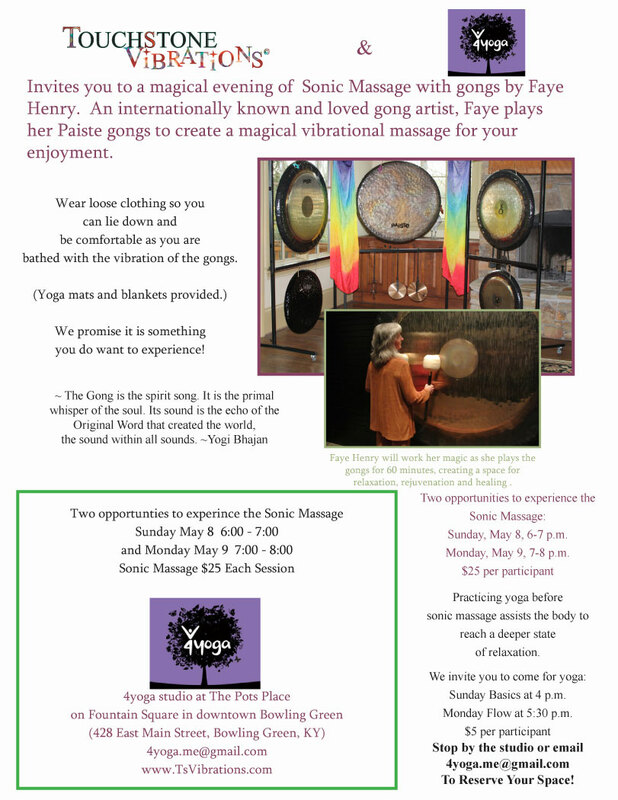 This entry was posted in schedule, workshop and tagged Faye Henry, gongs, sonic massage, Touchstone Vibrations. Bookmark the permalink.